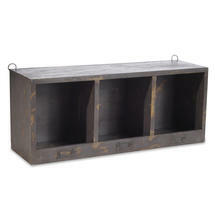 The design is classic, handmade from solid wood, but finished in a subtle distressed dark green. 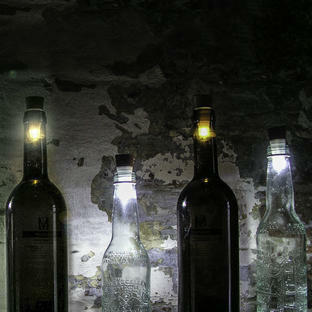 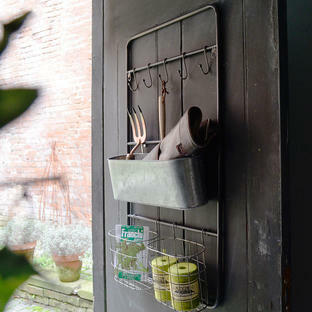 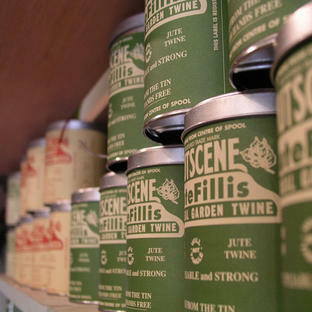 The unit is perfect for pigeon-holing everything from tins of twine, to jars and pots. 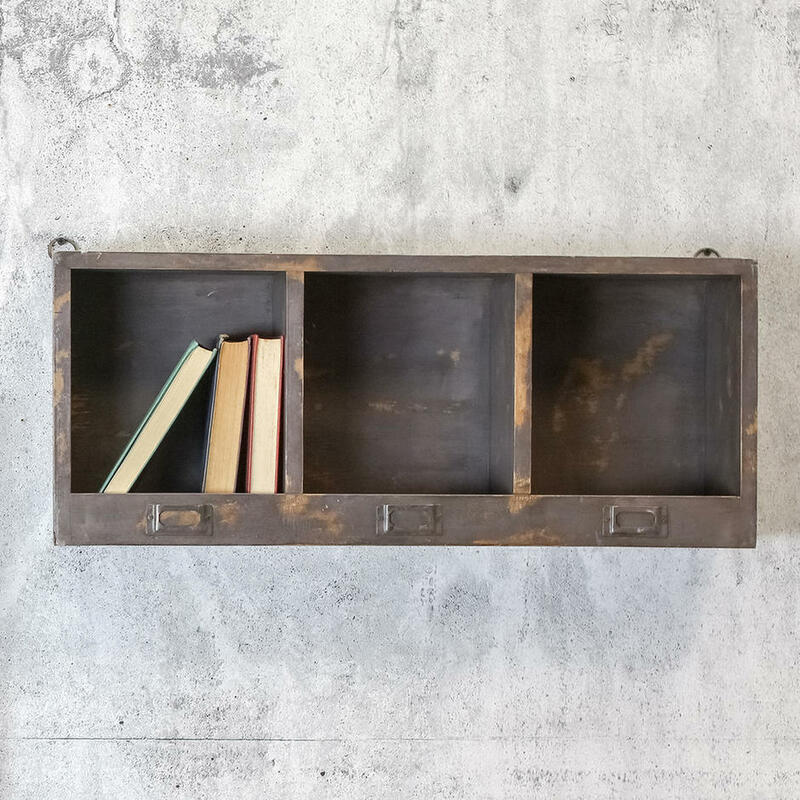 Each compartment has a distressed metal name holder for easy organising, just in case you need an extra reminder! Made from solid wood with a polished distressed dark green finish.